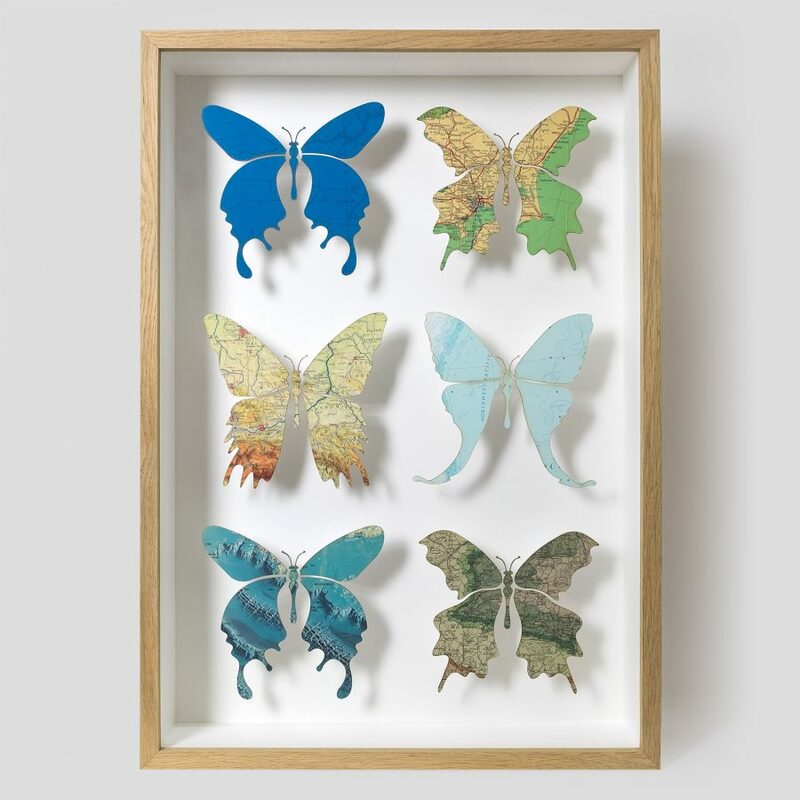 A collection of six butterflies made from original rare and vintage maps. The artwork is framed in a solid oak cabinet, measuring 487 x 700 x 130mm, which has been hand-made at our workshop in Essex, England. On the reverse of the cabinet you’ll find a maker’s plate bearing a unique identification number that guarantees the authenticity of your one-off artwork. A sturdy hanging bracket of our own design enables your artwork to fit flush against the wall with no visible fixings. The butterfly series made its debut at Medcalf Gallery in London’s Exmouth Market back in 2007. Such was its popularity that creator Joseph Warren has since expanded the catalogue to include a range of sizes and configurations, and introduced a bespoke service for personalised commissions. Delivery is free to any UK location. Postage and packing to destinations in Europe costs £50, and to the USA, £100.